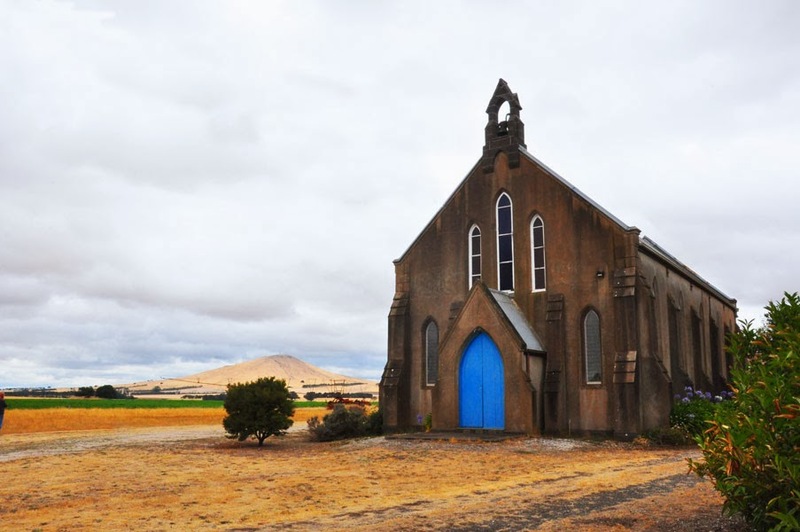 we came across this Church on our way to Newstead a couple of weeks ago. 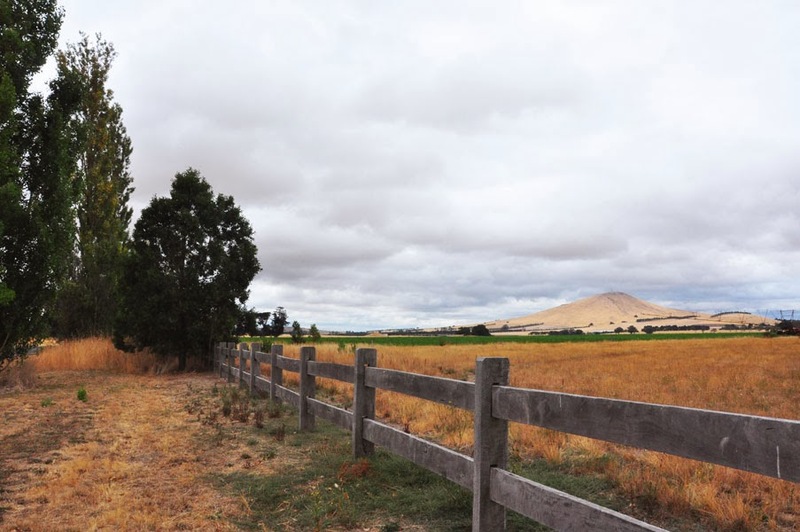 It is situated just north of Smeaton on the Creswick-Newstead Rd. The following information is from the website 'about Smeaton'. 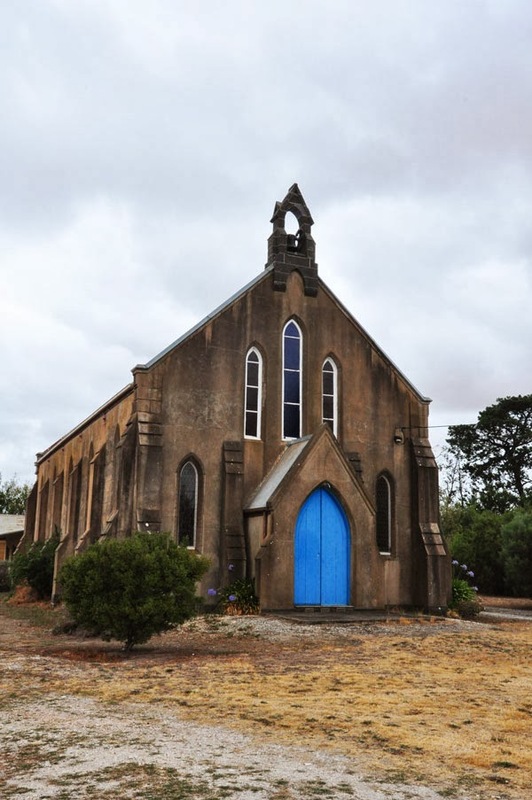 The Smeaton Presbyterian church was built and opened in 1860. Messrs. J. Hepburn, W. McAlpine, W. Anderson, S. Moore, W. H. Clarke and W. Miller made up the building committee. The estimated cost of the building was 1,200 pounds. After Captain Hepburn donated 5 acres of land and 150 pounds, the settlers and their employees willingly contributed the rest. 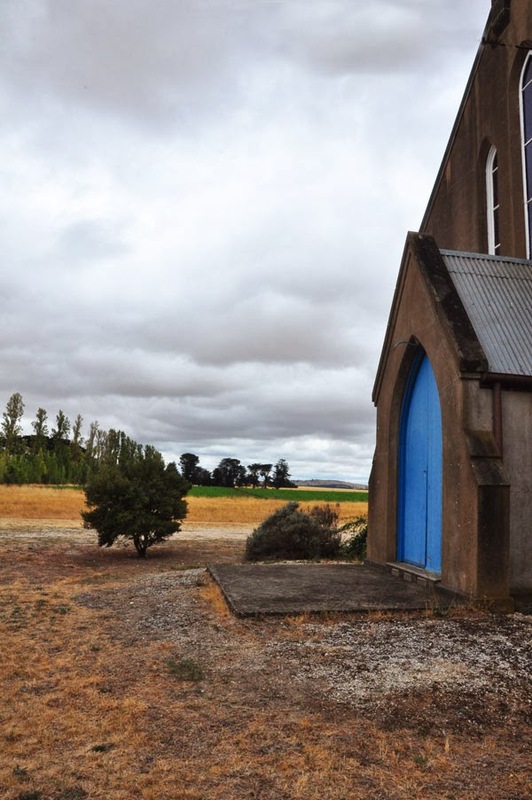 The church was built of locally made brick by local brick-makers, and carted by local volunteers. Around 1890, the outside brickwork was given a coat of cement, which has improved with age. In 1938 the grey stained exterior was described as “not altogether displeasing”. 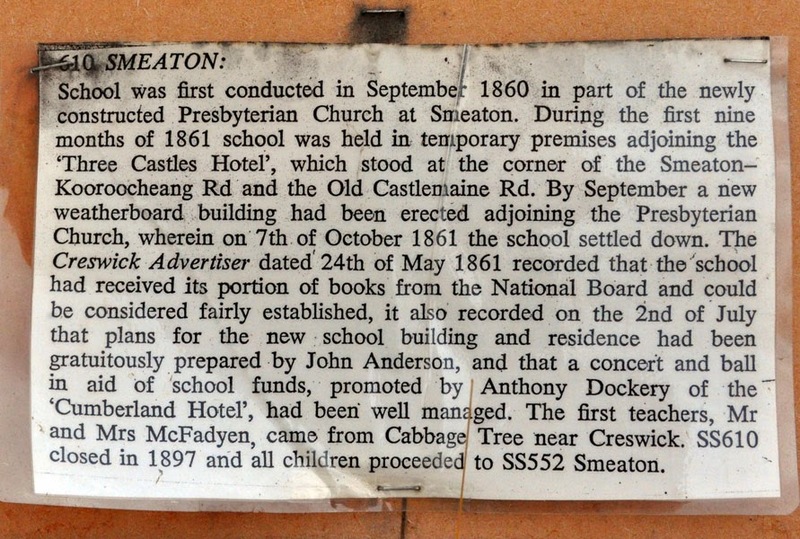 Captain Hepburn founded Smeaton in 1838, naming it after his hometown in Scotland, only three years after Melbourne was founded in 1835 a huge significance for Smeaton considering many towns settled afterwards are no longer in existence. 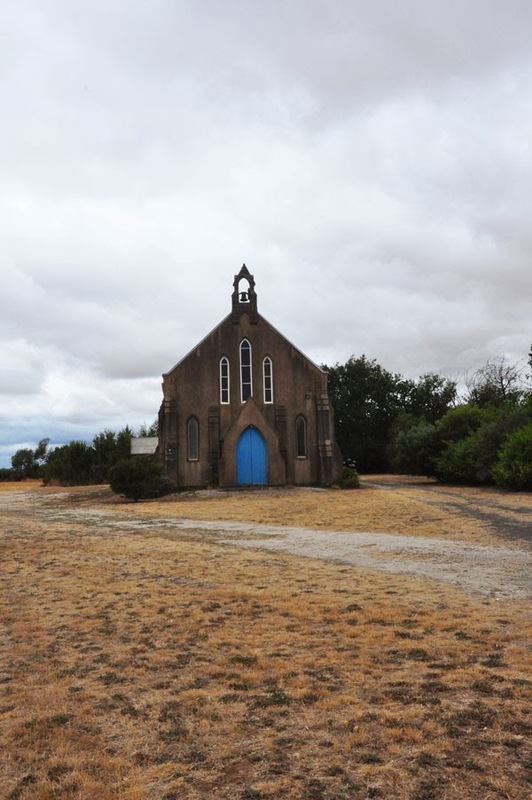 The small community of Smeaton has had many trials and tribulations in its long history, but as always the community has banded together and survived. There is also a Facebook Page for "The friends of Smeaton", hit the LIKE button so you can keep up with the events that are happening in and around Smeaton!